Mr. Witmyer was licensed as an attorney in 1996. Since that time he has consistently and vigorously represented a wide range of clients, both individual, government and corporate, covering a wide range of legal areas. 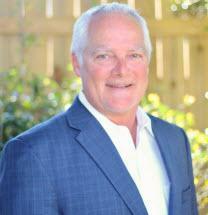 His predominant areas of practice include criminal law, family law, military law, and labor law. Mr. Witmyer is a military retiree. He served in the enlisted ranks of the Navy for ten years as an Explosive Ordnance Disposal (EOD) Diver. His last assignment in the Navy was as an instructor at the Naval EOD School at Eglin AFB. After earning a bachelors and masters degree he separated from the military to attend law school. Upon completing law school Mr. Witmyer received a commission in the Air Force and served there as a Judge Advocate General (JAG) for an additional eleven years until retirement. During his time as a JAG he served as both a prosecutor and senior defense attorney, representing clients in non-judicial actions, discharge boards, medical and flying evaluation boards, as well as countless court-martial actions. He also served as the Chief of Labor Law at Eglin AFB representing the Air Force's interests in discrimination and labor actions before the EEOC, MSPB and FLRA. After years of working for the government Mr. Witmyer opened his Destin law office to focus on the legal needs of the people of Northwest Florida. He is a member of the Florida and Pennsylvania Bars; United States District Court for the Northern District of Florida, Court of Appeals for the Air Force; United States Court of Appeals for the Armed Forces. Mr. Witmyer is also life-long follower of Jesus Christ and an active member of Niceville United Methodist Church. He and his wife volunteer as "shepherds" in the church youth ministry. Mr. Witmyer is also active in the Kairos Prison Ministry of Northwest Florida.